SEO is such a broad subject it can be difficult to know where to start when it comes to understanding how it can benefit your business. Search engine optimisation is often sold to businesses as some sort of digital voodoo that only a select few understand. The people behind the curtain don’t want you to know that SEO is more about a methodical approach to what you’re doing. There’s no “magic” – just lots of testing. And when it comes down to it there are really only two areas of SEO you can focus on: on-page and off-page. So, what we’ve put together for you is an on-page optimisation blueprint for you to follow. Our goal with this blueprint is to help business owners make more informed decisions when it comes to deploying on-page SEO techniques on your website. An additional goal is to dispel all the chronically outdated on-page SEO advice spread on forums and elsewhere online. By the time you’ve finished reading this on-page SEO tutorial you’ll understand exactly what you need to do to make your on-page SEO shine. In technical terms it’s the optimisation of your domain, UX (user experience), page design, keywords, content, link structure, URLs and source code (in the form of meta tags) to ensure that each page of your site ranks in Google. In layman’s terms, it’s changing different parts of your web page to make sure that Google pays attention to your site. Each page of your site presents you with the opportunity to attract free search engine traffic, based on not only the relevancy of your content to the keywords people are using to search, but also to how well your page presents that information. What on-page SEO is absolutely not about (well not since 2004) is keyword stuffing i.e. shoehorning keywords onto your page in the hope that Google will fall in love with you. Effective on-page optimisation is one part SEO methodology and one part copywriting, and if you can nail your on-page SEO you’ll be several steps ahead of your main competitors. Seriously – you have no idea how many outdated, ineffective SEO techniques we see deployed on brand name websites. The real reason why you should pay careful attention to your on-page SEO is because most of your competitors are either perfecting their approach, or are completely ignoring their site in terms of on-page optimisation. If you look at how most businesses approach SEO, it’s all about building backlinks and getting social shares, etc. But there’s very little attention paid to the actual pages on their site in terms of how well they’re optimised for both the search engines and human visitors. Make no mistake, on-page optimisation is a critical element of your online marketing efforts, and for more reasons than just keeping Google happy. If you’re at all familiar with SEO, or you’ve had the distinct displeasure of getting caught talking to certain “gurus”, you’ll have heard that having your keyword in your domain is really important. That would be true, but only if you own a time machine and can travel back to 2008. In 2012, Google rolled out an algorithm update to penalise domains stuffed with keywords. This means that registering a domain like “BestFinancialAdviser.co.uk” today won’t give you any advantage in ranking your business. 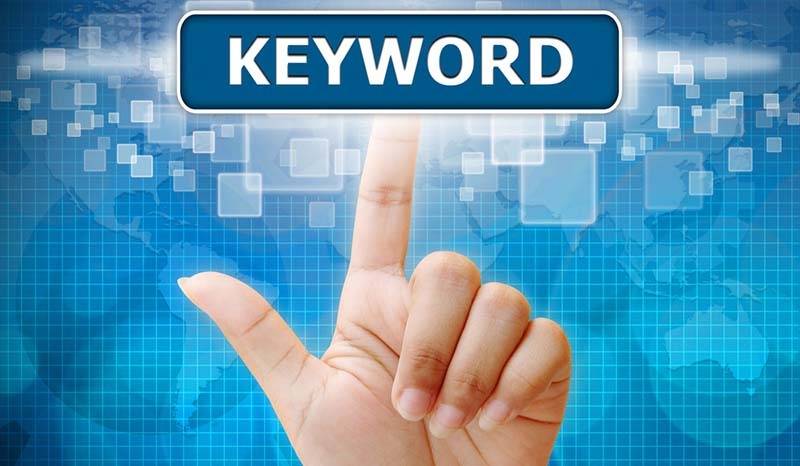 Having your keyword in your domain is still a ranking factor. Just don’t do it solely for that reason and don’t expect to rank on page #1 just because of it. A memorable domain name is worth way more in terms of UX than one with all your keywords crammed in there. Always ask yourself how your domain would look on a business card. It looks like spam? Then avoid it. It makes sense for your business or brand? Go for it. Now here’s an aspect of on-page SEO that very few people talk about – the layout of your page. The best place for your main content is on the middle of the page, and not in sidebars, sub-menus, tabs, or in “accordion” sections. Google is smart enough to read text in these areas, but the best place for your content is front and centre on the page. The reality is that Google won’t ever rank your site based on a flashy design. If anything you’ll actually lose certain ranking “points” because you’ve made your site difficult for their spider to navigate. Thrive Themes ran a very interesting study on how much of a negative impact poor site design can have on on-page SEO. Simple design works best in terms of ranking, almost without exception. Search engines have one job to do, and they take it very seriously: To match a searcher with the best possible result for their query. Or, put another way, Google’s job is to provide the best possible answer to a question. Years ago you could trick search engines into ranking your page by simply including your keywords in certain places, and that would be enough. Google’s search algorithms have evolved at an incredible rate over the last decade, so those on-page “techniques” now don’t work. Instead search engines care about how relevant your content is, and it scans your entire page to gauge that. It will then decide what your page is about based on the keywords, and variants, you’re using. 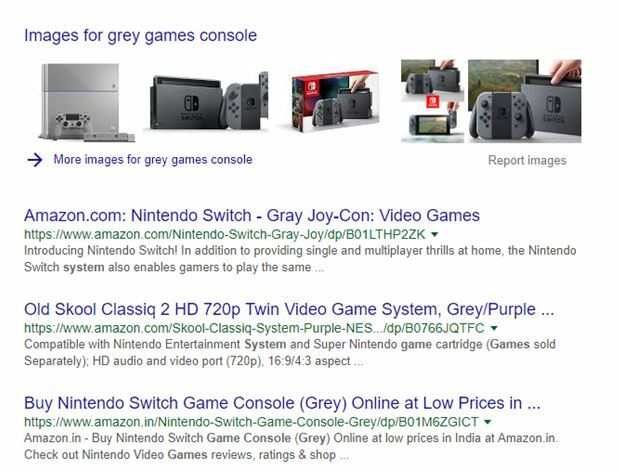 Open up Google, and type in the phrase “grey games console”. How many of the results specifically mention the phrase “grey games console”? Google understands that people looking for a grey games console are very likely to actually want a Nintendo Switch. You can test this yourself, and you’ll find in many cases that very few search results include a page based on the exact phrase you used. But what you will find is that the results you get are very targeted to your actual search intent. Google understands search intent than you can ever hope to. There’s another great example of this technology in action on the Ahrefs blog – this time it’s about chocolate labs. Although this is pretty solid SEO advice, it’s also kind of an invitation for people to start shoehorning keywords into their first paragraph of text. They’ll do this because they heard somewhere that it’s the silver bullet for better rankings in Google. Google invested heavily in LSI technology a long time ago. Google can understand the intent of a page no matter what keyword you include in the first paragraph. In fact – and this has happened in the past – forcefully including keywords in your content is a quick way to alert Google to the fact that you’re trying to manipulate their search results. And once enough sites start doing this Google will roll out another algorithm update to reduce the effectiveness of including keywords in the first 100 words of text. The trick that most SEOs miss out on is that you can include your keyword in the first 100 words of your text, but it doesn’t need to be included “whole“. Amateur SEOs will try to cram that exact keyword somewhere in the first 100 words of text, no matter how unnatural it sounds. You’re facing an uncertain future and looking for a trustworthy financial adviser? For those of you in Chelsea, Fiscal Friends are here to serve you. None of the above search results include the exact match keyword anywhere in their Title tag or Meta description tag. 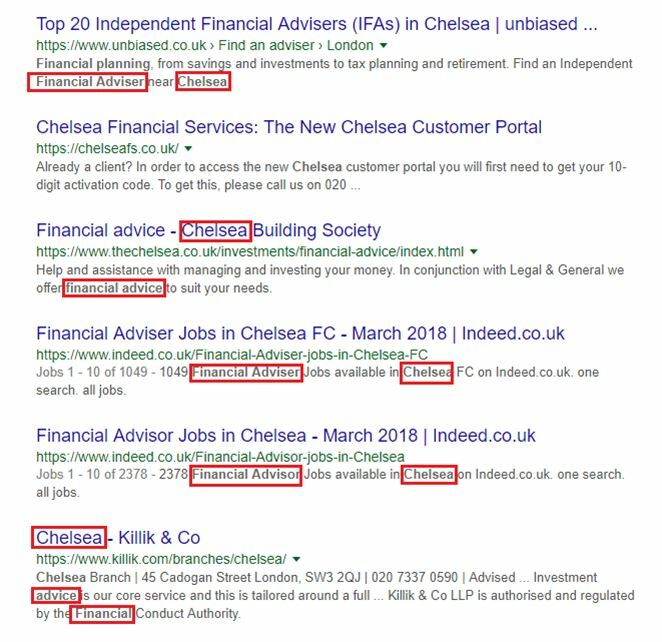 You also won’t find the exact keyword of “financial adviser Chelsea” in the first 100 words of text on these sites. Theories are fine, but cold, hard proof is much more valuable. This is basically about how “old” your pages are in the eyes of Google. There’s a lot of talk around this, with some SEOs advising that lots of new (fresh) content will attract more traffic. The problem with this theory is that it’s not entirely accurate. You can test this for yourself by searching for a random keyword in Google and then looking at the date the page was published. In the vast majority of cases you’ll find that content ranking on page one of Google is anywhere from two to ten years old. 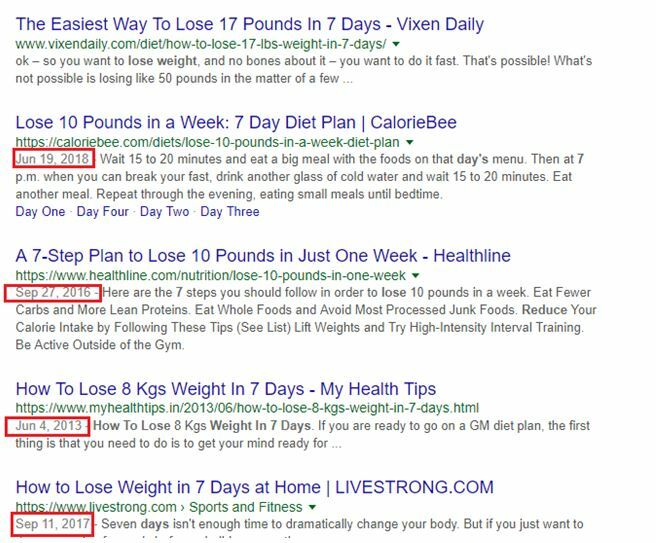 Here’s an example of what we mean when we Googled “how to lose weight in 7 days” – an extremely competitive keyword. There’s even a result there from 2013! As you can see, Google cares far more about how relevant your content is – the fact that you published it more recently than some other site simply isn’t a ranking factor. The only exception to this is if your site has older, less in-depth content on a given subject. In these situations it’s always a good idea to do what’s called a content upgrade, where you expand on your original ideas, provide more answers to questions, and also include more media on a page. 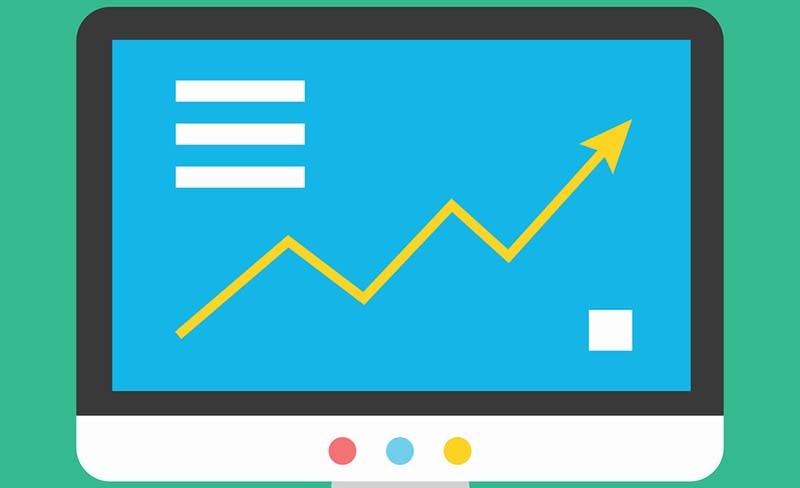 Upgrading older content to make it “fresher” can have a massive impact not only on your rankings, but also on the amount of traffic you get. Just don’t go publishing blog posts every single week because you think this is what Google wants, because that’s not true. Does having your main keyword in your URL help your site rank better? The short answer to this is “Yes”, but it’s not the only thing you have to do. As you can see from reading through this article, on-page SEO is way more nuanced than just performing three or four steps and then magically ranking for your desired keywords. 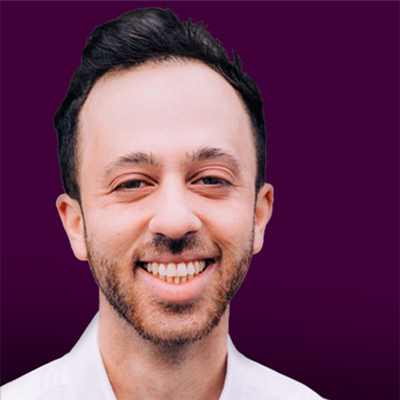 So, let’s take the example of “best financial adviser in Chelsea“. Does this mean your URL should look something like this? No, and for a number of reasons. The first is that your URL includes the stop word “in”. The second reason is that you’re obviously trying to manipulate the search results, so you’re only an algorithm change away from a penalty. You’ll get just as much SEO benefit from using www.domain.com/financial-adviser-chelsea/ as you will from trying to cram tons of keywords in there. Keywords in your URL do matter, but this one factor alone probably accounts for no more than 5% of your overall on-page SEO. Shorter URLs are better, and not just from an SEO point of view, but for general user experience (UX) too. Plus, Google has shown a preference for shorter URLs both now and in the past. So, instead of having a URL like www.domain.com/what-is-the-best-gourmet-restaurant-in-london, you should instead use something like www.domain.com/gourmet-restaurant-london. The second URL is shorter, more memorable, strips out all the stop words, and tells Google everything it needs to know. The truth is you have no reason not to include outbound links to related websites that your visitors might find useful. As for the idea that it will drain your domain authority, that can be catered for by simply adding the “no follow” tag to your outbound links. That’s only if you’re really paranoid about the idea of outbound links though. Most importantly, Google expects to see outbound links on a site because it’s the natural pattern you’d find on any website, especially on a site ranking on the first page of Google. How many outbound links on a page are bad for SEO? If you were to include dozens of outbound links on a single page, then this might impact your SEO, but we rarely see site owners adding 2 – 3 external links, never mind dozens of them. We know there are lots of SEO “gurus” out there saying that Title tags don’t matter any more, but we beg to disagree. Including your keyword in your Title tag is foundation-level SEO – so it’s something every business or site owner should be doing. Even outside using it for SEO benefits, this tag provides you with an opportunity to sell your brand, product or service. Again, you can’t just stuff your exact keyword into the title, but you can still use a variant and some synonyms for improved rankings. Writing modern SEO title tags is part science and part copywriting, but when you get it right you will see an improvement in how your pages rank in Google. We’ve seen this across numerous sites and in numerous verticals. Having a clickable title is just as important as getting your keyword in there, so don’t overlook that. Google RankBrain appears to reward the most clicked search results with higher rankings, and a major aspect of that is having a title that entices the casual browser to click on your search result. You can create clickable Title tags by using what are called modifiers. Now, sit back and ask yourself which of the above would you click on first? Yes, the second title is a little bit clickbaity, but it will outperform the first title every single time. Should you frontload your keyword in your title tag, which basically means including your keyword at the very start of that tag? This can work well for keyword rich inbound links – your target keyword is already in your URL so it’s automatically part of a naked link. That’s an easy SEO win for you. Should you include your brand name in every instance of a Title tag? Here’s some interesting research on that subject. As of right now it should be no more than 60 characters. You can write Titles that are much longer than that, but Google will truncate them after it hits the 60 character limit. So, should you include your keyword in your Title tag? Yes, this is a perfect place to include the keyword most relevant to that page, but don’t cram extra keywords in there. You’ll hear “experts” in SEO forums tell people that the Meta Description tag is a waste of time, and nobody uses them, so neither should you. That’s funny because we recently ran a test for a new client who had very little SEO work done on their site. After putting together a roadmap for them, we realized their WordPress theme prevented us from implementing Title tag changes. So we went ahead with updating their Meta Descriptions while their web dev team sorted out the technical glitch. Each page we optimised jumped several places, including placing their site on page #1 for a desired keyword. And that client is in the education niche. The lesson here is to be cautious about who you take SEO advice from, especially because they don’t test their theories – they’re just spreading them around on forums so they can sound clever and earn some social currency. How long should your Meta Descriptions be? Google recently caused minor chaos by increasing the character count from 160 to 300 characters. Then they changed their mind again, and told all site owners that 160 characters was the max length. Kind of, because they apparently make exceptions in some cases i.e. Meta Description tags that are 300 characters in length are acceptable in some situations. To save you any future confusion keep your Meta Description tag length to 160 characters. What we love about the Meta Description field is that it’s the perfect place to include a variant of your primary keyword, you have space to sell your brand, and to even include details like your telephone number. Meta Description tags are still an important aspect of on-page SEO, but they’re only part of a larger on-page whole. Broken links can be either internal links to other pages on your site, or outbound links to external pages. Monitoring what external sites you’re linking to be can be difficult, especially because websites go offline all the time, and without warning. 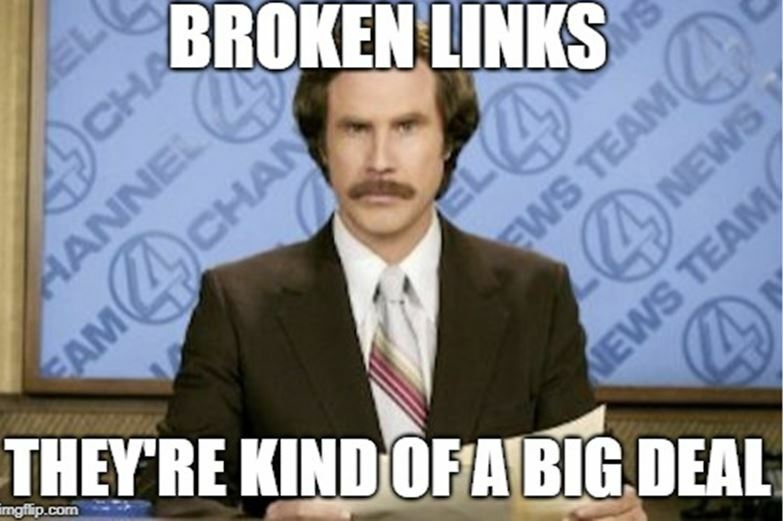 Monitoring broken links to internal pages is something you should be on top of though. The reason why you should check for broken links is that they’re bad for UX and they send the wrong signals to Google. Every time Google crawls your site and finds a broken link it’s a signal to them that something is wrong with the site. They won’t necessarily penalise you for it, but you need to avoid having broken links on your page. Here’s a free tool that checks for broken links on your site. 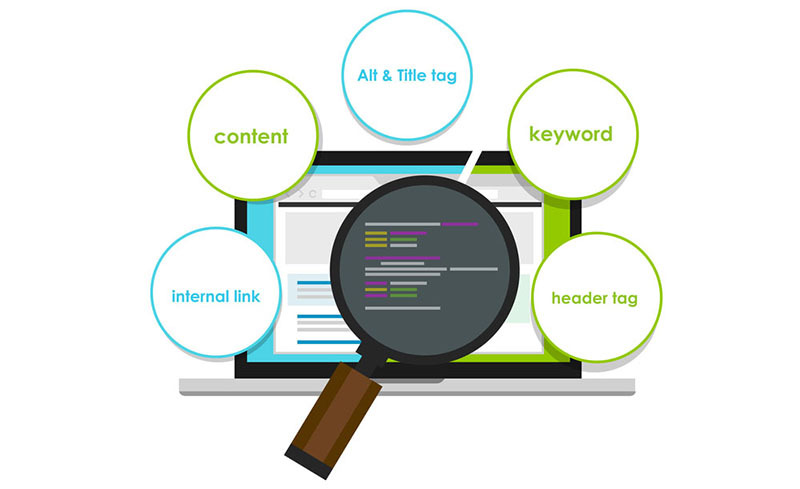 Otherwise known as H1/H2 tags, these have been part of on-page SEO since the very beginning. They were originally designed to improve the typography on web pages – this was long before CSS was even a thing. So…should you still use Hx tags as part of your on-page strategy, including putting your keyword in a H1 tag for your headline? They’re not as powerful as they used to be, but it only takes seconds to include them, and there is a definite SEO benefit involved, no matter how minor. Should you include your exact keyword in a H1 tag or a synonym/variant? We’ve tested using a synonym – there was very little variance in how the tested pages ranked. What most business owners don’t realize is that their site either doesn’t have or doesn’t support the use of Hx tags, so this is something you should always check. It’s almost funny to hear digital marketers and SEOs talking about keyword density because it hasn’t been a tangible SEO factor for several years. But they’re still quite happy to take your money and then make excuses once your site is penalised or ignored by Google for trying to stuff keywords into your pages. 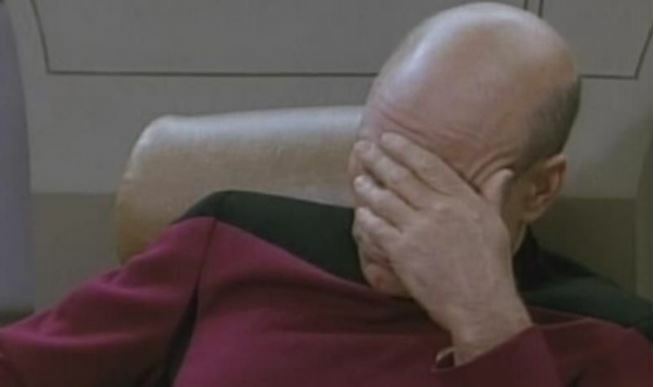 This is how we react when we hear alleged SEOs talking about keyword density. We actually do a double face palm, but we prefer this image. The latest incarnation of “keyword density” is something called TF-IDF. This stands for Term Frequency Inverse Document Frequency. Relax, it sounds really complicated but it’s actually very simple. TF-IDF tools research the top competitors for a given keyword, analysing content length and how often certain words appear on a page. They then present you with a list of keywords you should think about including, and the frequency at which you should do that. The theory is that by creating a longer and more TF-IDF focused piece of content around a keyword, that you will outrank your competitors. If you have a lot of existing domain authority, then TF-IDF can give you some quick wins for low competition keywords. But if you’re starting out with a brand new domain, then this approach is time intensive, the analysis tools are expensive, and there’s no guarantee of results. The issue with TF-IDF is that it seems to present a “formula” to beat Google. But rest assured, every time Google thinks it’s being manipulated it will drop the hammer on those sites with an algorithm update. Optimising the images on your site might not seem like a big deal, but it’s still an important part of on-page SEO. The first element of image optimisation is naming your image files, ideally to include a keyword/synonym that’s relevant to your page. We see far too many business sites with multiple images on each page, but the file names are usually something like “image6778-small.jpg” or “company-logo.jpg”. Google will struggle to understand how these images relate to your page, and probably won’t index them as a result. Let’s imagine you were running a photography site, and you were reviewing a brand new Canon DSLR. Your first image is of the camera itself, so the file name should be “canon-rebel-t6.jpg” instead of “image6778-small.jpg”. You would also rename your “company-logo.jpg” file to “dslr-reviews-logo.jpg”, for example. Most business owners don’t realize that you can generate traffic and links just through Google Image search. Next up are pieces of HTML code known as Alt tags. Google understands written text remarkably well, but it’s not capable (yet) of examining an image and understanding what the content or context of the image is. Alt tags are a way of adding descriptive text so that Google can understand how the image relates to the content on your page. An often overlooked use of Alt tags is that they’re also required by accessibility software, such as screen readers for visually impaired people. Adding an Alt tag to your image takes a few seconds, gives you an opportunity to include a keyword, and is basic SEO for all website owners. It won’t have a huge impact on your rankings, but every little helps. Like it or not, having a website that loads slowly can impact your ability to rank in Google, so it’s not something you can ignore. Is it a significant on-page ranking factor? We’ve seen some evidence to support this, in that Google seems to prefer sites that load more quickly because they have a less cluttered interface. This probably has a lot to do with their mobile first index, and a drive to support mobile search. How can you check your site’s page speed? How quickly should your homepage load to steer clear of any potential Google penalty? Less than 3 seconds, with under 1 second being the goal. You can achieve these targets through a combination of clean page design, a caching plug-in for your CMS (Content Management System), or even swapping to a web host that has better response times. If your site takes 5 – 10 seconds to load right now, that’s bad from both a UX and SEO perspective. At this stage you might be wondering how many words should be on a web page for SEO purposes? Brian Dean’s study on this appears to be the seminal answer to the question of how long your content should be – approximately 1890 words. After all, his team examined 1,000,000 search results to arrive at their conclusion. You see, while Brian’s analysis is absolutely spot on in terms of how effective skyscraper content can be, it leaves out the fact that ranking on page #1 isn’t only about reaching a specific word count. In fact, this will encourage some marketers to create pages with a certain word count, regardless of how valuable or relevant the content is to the search query it’s targeting. Case in point are sites that can rank on the first page of Google for competitive terms, but with content that’s between 500 and 1,000 words. That’s a pretty big variation in page length, yet these pages occupy the top spots in Google for what is arguably a competitive keyword. During tests we noticed some pages ranking on page #1 that contained only 93 words of text. The real kicker is that the #3 result is the most visually appealing of the bunch. It has lots of large images, the content is well written, and you can read the entire thing in under 5 minutes…and it’s only 541 words in length. Long-form content has its place online, but it’s not an absolute i.e. you don’t need to create 2,000 word blog posts to rank on the first page of Google. This is yet another aspect of on-page SEO that most marketers and businesses ignore – how well the page reads. Web searchers hate reading large blocks of text. It’s very hard for the average person to stay completely focused on long paragraphs. The split second you lose their attention they’ll wander off to do something else. That’s exactly why this guide is written the way it is. Lots of white space, and a mixture of long and short sentences. It’s not done to meet some weird formatting guide – it’s because it’s encouraged you to keep reading this far. So, we’ll offer you the same advice. Write sentences that vary in length, and break up large blocks of text with images, bullet points, quotes, graphics, screenshots or whatever else works with the tone of your piece. Adding bold or italic effects to key phrases or terms is another great way of keeping your visitors focused on your content. Basically, the edge of your page should look like an undulating mountain range. Or a rollercoaster, if that makes more sense. And last, but by no means least, consider using BuzzFeed style headlines to grab the attention of the casual reader. Then use the formatting tips we’ve shared here to keep them reading. How is this even relevant to on-page SEO? As of right now you’ve invested at least 5 minutes of your time reading this guide. Keeping visitors on your page for more than 3 minutes sends Google a very strong signal that you have something of value to offer them. Or, to put it in more technical terms, creating readable content promotes long session times. Google loves sites with long session times. Can you rank for low competition keywords using just on-page techniques? Yes, given enough time you can. But if those keywords have no transactional value then you’ve wasted your time. Some businesses get carried away with the desire to rank for keyword x, even if the traffic it generates is worthless. That’s not a good investment of time or resources. Backlinks are, and always will be, just as important as on-page optimisation. A truly comprehensive SEO strategy will focus on both great on-page optimisation and great off-page optimisation. It’s the only way you can compete online these days. How long does it take before on-page SEO takes effect? That’s a pretty broad question because it depends on a number of factors, including how competitive your niche or market is, how much domain authority your site has, and how well your on-page optimisation is implemented. On-page tests we’ve run in the past typically deliver results in about 14 days from when the changes are implemented. If you have a DA60+ domain you might see results literally overnight. Congratulations – you’ve finished our on-page SEO blueprint. We hope you enjoyed your journey and that we’ve opened your eyes up to what does and does not work in the world of modern SEO.